That would be easier with a mirrorless system :). Canon has been handicapping their cameras in order not to damage the sales of higher end products and has hardly invested in new technology while the prices of their less and less competing camera remain high. 1: they will damage the sales of their current cameras (with mirrors). 2: why build a new system with a ridiculously large flange distance which isn't needed. 3: The sales of lots of new adapters is guaranteed if they make a new lens mount. 4: they can sell lots of lenses for their new system. Canon isn't like Sony and Nikon trying to shove as much new tech in their cameras as possible, Canon will give you the least amount of new tech, they think they can get away with. And as long as people buy their cameras, they will continue to do so. Canon is not your best friend. Canon is trying to make as much profit as possible out of a declining market. What you discuss could be true and I feel that's a sure way towards failure and a missed opportunity. Fuji did something similar where they killed off large chunks of their business and hurt a major section of their own sales in order to secure their future so it's in Canons interest to make bold moves such as these. I think if they continue in the same way they won't sell as much, they don't have the sentiment behind them and I hope they don't underestimate how important sentiment is. These shorter-term gains they've been concentrating on are exactly that, and they won't last. The photography industry isn't in decline it's just changing. there are more photographers now than there have ever been, companies just need to take advantage of that in an effective manner. Yeah, they should hire some consultants from the smartphone industry. Admittedly, I don't own a high end full frame camera but a Sony a6300 and an older a77 but I find the interface of most cameras sadly lacking in user friendliness when comparing them to smartphones. But for video I have replaced my a6300 for a samsung s8 and a gimbal. Since my modest audience watch these videos mainly on their smartphones, it is hard to spot the difference. For still, it is still a different matter. The user interface of practically all cameras is so old fashioned and clumsy compared to that of a smartphone. I can shoot a video and (raw) stills, edit them and publish it from my smartphone in reasonable quality, not the best though but good enough for use on social media. Try doing that on a camera. Here is some proof of videos made with a gimbal and smartphone. "a clever design of a future camera with traditional mount may somewhat compensate the bulkiness coming from necessity to accommodate a larger flange distance"
"the worldwide total value of accumulated actively used legacy lenses at about $80 Billion"
You forgot to add Canon's new colour night vision technology. If they are going to succeed, they need to add something the others don't have. And it's already what, two or three years old? First, what do you actually want for a mirrorless??? Do you have so much love for canon lens that you want to force them to smack their current DSLR bodies and make the same bodies become mirrorless?? Or do you just want only the lens? Are you too afraid to sell your lens collection just because canon's camera has become so outdated now?? Why are you really dying for canon mirrorless??? Why don't you just ask them to include mirrorless features but still retain the mirror?? I bet that is what you really want because you don't want them to change the lens mount right?? If you really want focus peaking and zebra, it is just a software feature and you can even view using those features with LCD..
if you are asking for an EVF, it is better to make an external viewfinder instead of making them all become mirrorless,right??? And the last thing....who wants a huge camera bodies nowadays?? Do you expect the camera and the lens will be bought by people with huge muscles??? I can't decide if I'm completely shocked that Canon users are having these thoughts, ...or if I'm not surprised at all that Canon users are this out of touch. I guess it just goes to show that "the masses" are a terrible metric. There is absolutely zero chance that Canon will NOT abandon the EF mount. They will absolutely be doing so. What you want is a 5D4 with interchangeable viewfinders, like in the days of old. For anybody that remembers, or has at least read up on the history of the OVF camera as a system, it was actually a HUGE thing when Nikon first dumped the interchangeable prism from the F3 / F4. A whole lot of pros scoffed at the F5 for this reason. But I digress. Everything is wrong about this whole concept. But I guess I'm not surprised that (some) Canon shooters are asking for this. Given the original brilliance of the EF mount, the only thing the adapter needs is pass-through wires. So, yes, they could provide an adapter in the box with each lens that could be made to attach semi-permanently to the lens. Okay. And that would be necessary, because they're unlikely to roll out their entire EF line in that new mount all at once. LOL, I love how you create this imaginary group of people that are all Canon shooters. Do they have secret meetings and ceremonies too? Also no, adapters don't work the same as truly native lenses and yes I have used the EF-M adapter and it's ok at best. It's better than the metabones adapter on Sony but not as good as using a native lens on let's say an 80D. The EF mount is possibly the most used mount in the world. From Cine cameras to even "Sony users". There are a lot of practical and financial benefits for sticking to it. Chances are Canon may move to a new mount but based on the sentiment it seems many "canon users" would also prefer to remain with the EF mount. Lastly, can you quantify your claim that a shorter flange distance helps developing sharper wide angle lenses? Not that I don't believe you just want to see information backing that up please. Yes, and apparently the secret meetings involve sniffing paint or glue or permanent markers. All evidence points to it. There is no practical or financial benefit to sticking with EF mount that isn't overcome by a simple pass-through adapter, and the massive new market of a system with a much shorter flange distance. No matter now popular EF is, Canon would be leaving money on the table if they stuck with the mount. The argument about lens optical quality of any kind is very simple: With a shorter flange distance, you have more options. if you so choose, you can still design optical paths however you might have with an OVF DSLR. However if a mirrorless mount has a much wider diameter and shorter flange distance, it at least gives the opportunity for light to hit even the extreme corners of a sensor at near-90-degree angles, depending on the optical formula. But, enough of this. I've published my own rants about things that I was totally wrong about just months later, so I know what it's like. We'll find out who's right and wrong pretty soon, it seems. Can you provide evidence for the claim, I'm genuinely interested? Also, adapters are still worse as an option, it is not a professional solution by any means. Lastly, what is there to be right or wrong about? There is no evidence needed to prove that any optical engineer would prefer less restricted space, instead of more. Adapters may be a slightly "worse" option for folks who hate adapters, but the net financial gain of a whole new mount far outweighs these complaints. We'll see, pretty soon, whether Canon sticks with EF, or creates a whole new mount. Who knows, maybe you'll be right and I'll eat my hat. I've been wrong before. But if I'm wrong, I suspect that the majority of the market will see it as a bad move, and their wallets will agree. 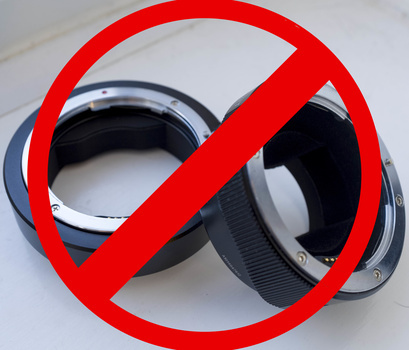 The issue of turning all current EF mount owners into "free agents" is a significant risk for Canon. I was one of those who had a considerable investment in EF lenses. When Canon drop-kicked me and my investment to the curb I had, fortunately, moved into a phase where medium and large format were more important and I didn't need to make an immediate 35mm upgrade. But when I did, I certainly looked carefully at Nikon. What saved me from Nikon was that at the time Nikon was struggling with their transition from all-mechanical F-mount to a modern electronic mount. They had all kinds of cameras and all kinds of lenses scattered across that transition, and you needed a roadmap to know how automated any particular lens would be with any particular camera. 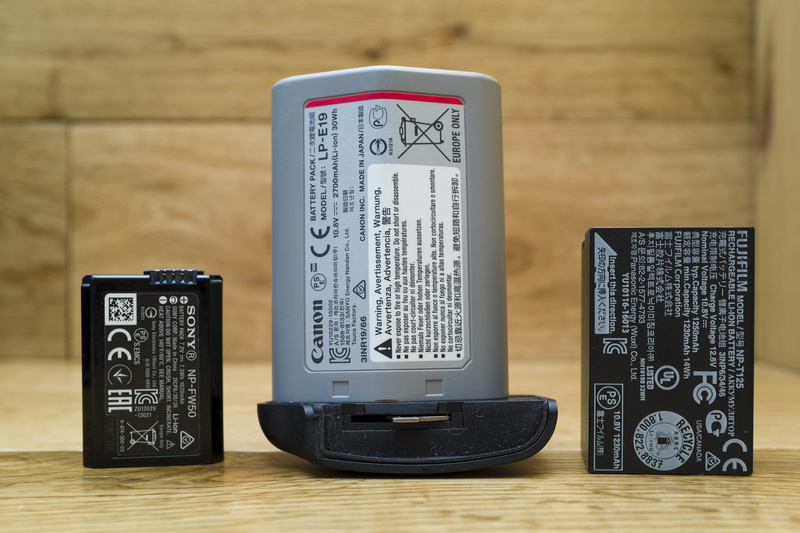 Canon's wisdom in a Big Bang switchover to an extremely versatile mount--which is not by any means yet technologically obsolete--became apparent. The difference between then and now is that back then, Nikon was the only contender, and it had crippled itself. Today, Canon doesn't have the luxury of Nikon being its only serious competitor. I absolutely agree those features are whats needed for them to be competitive in the mirrorless market. Although aside from the native EF mount (which would be very nice), thats basically only whats needed to stay on par with the current Sony offerings. I'll maximum give Canon a time span up to Easter to come with a very good full frame mirrorless camera, if not I order Sony! Thank you for the list of what this camera must include. But Canon must hurry up now if they're not going to loose me. So you guys want something like Pentax K-01? which has proven to be a total failure. If they kept the ef lens there is not need to make a new mirror less camera. Just make one SLR the same size as EOS 750D. The reason to get a mirrorless is the compact size, and flexiblity to use smaller lens. Just look at how small a ranger finder lens is. keeping EF moutn will never give you any advantage over size. Mirrorless have more advantages than just compact size. Smaller is not better, it's a compromise and worse in many cases, I outline those points in the article. Mirrorless cameras have eye detect autofocus, image preview, focus from the sensor which is much more accurate, EVFs with can have as much information as you need and so on. It's not about size. Weight is an issue but that can be addressed just by removing a few things from the camera like the prism and mirror. There are so many reasons why mirrorless is better but just having a smaller camera isn't the way forward. Also comparing a Pentax camera vs a Canon isn't going to be effective, Canon has a much bigger market share with a significantly larger lens selection. The marketing budget available to Canon is also much bigger and even cameras like the 6D Mark II were top sellers even with all the bad reviews. 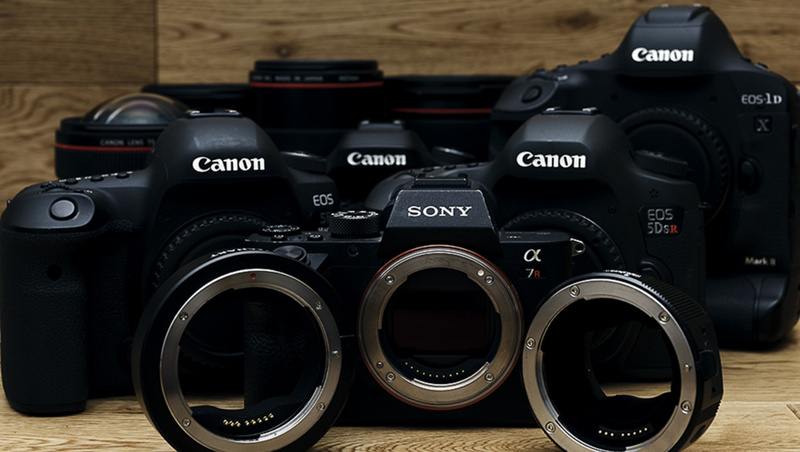 Canon needs 3 new cameras to complete with a7, a7r, a7s. They need to get rid of their Useless 6D. And leave 1D for wildlife and sports. Getting a new mount is not a great idea, as they have never used the current mount to full potential. Recently EF mount lenses are becoming focus by wire and lcd focus info. Very unusually, I completely agree with everything in this article, especially sticking with EF mount and some of the desired features. Couldn't have put it better myself. And if they went along these lines, I would be among Canon's mirrorless customers without doubt. What features should the next Professional Mirrorless Canon cameras have? 1) Same batteries from current pro level DSLR. 2) Accepts EF, lenses and if needed, new mount system without using adapters, the camera should have a manual mechanical means of adjusting flange distance or better yet, automatic motorized flange adjustment. 4) A retro look camera with similar looks like the Canon AE-1. I have a lot of nice EF lenses, but I don't think I want to wait until Q1 2019 so I may move away from Canon and go to a Fuji mirrorless. 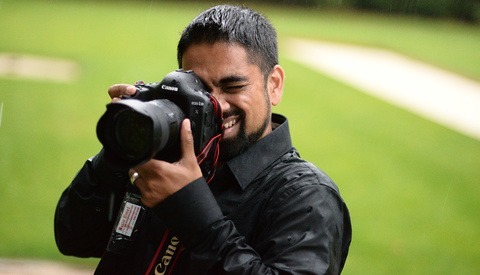 Usman - Do you actually know anything about lens design??? If you don't, then why are you telling two major camera companies what to do? ...There are disadvantages to adapter systems, but they exist precisely so cameras like the A7 can use legacy glass and lenses that would be impossible for a DSLR to use. Sorry are you saying the biggest advantage for mirrorless cameras is that they can adapt legacy glass? No, Usman, fairly clearly that wasn't what I was saying. The point is that MODERN lenses made especially for mirrorless can have their lens elements close to the sensor, which means that they can often use much more optimal designs, especially for wide angles. The Ricoh GR 28mm equivalent is an excellent example of this. 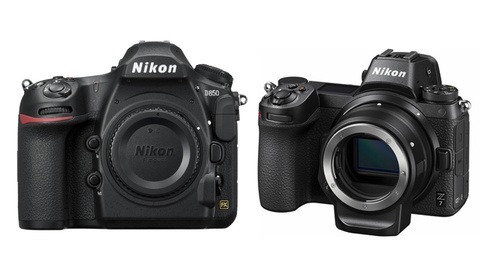 It has about 30% fewer elements than an equivalent DSLR design and outshoots not just 28s but premium 50s. The T2 sonnar is another - it's tiny but the image quality is better than any DSLR standard lens short of an Otus. The legendary rangefinder standard lenses? Same deal. Lensrentals has an excellent set of articles on basic lens designs. Why don't you go and read them? not to go back on an old article from a sidebar link, but I thought it was interesting nothing came to pass but also the points are so spot on why the new R mount was ill conceived. New mount it is, and it is 100% incompatible with the EF-M mount and vice versa. Author neglected on huge point: Nikon's flange is 16mm meaning it will adapt anything on the market by the metabones of the world plus any 3rd party design just needs a new housing and mount to become compatible, including all the sony 3rd party lenses. Canon, Sony, F mount, everything sits in front of 16mm making Z the most future proof mount of any system, and unlike sony, not restricted by size. Off course the seeds of disaster were laid long ago: EF-M was too small. So unlike canon's M, Nikon and Sony now have 100% native mounts compatible with APS-C without requiring a different mount for full frame versus crop. 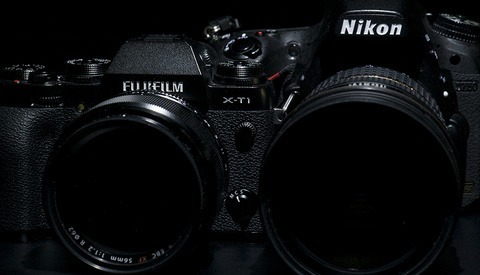 1) it cannot longer leverage the broad mount against Nikon, evident as Nikon producing 1.2 lenses and up to 0.95. So not only is the mount change a problem, but they picked just about the worse possible choice: two mounts, too far a flange distance.